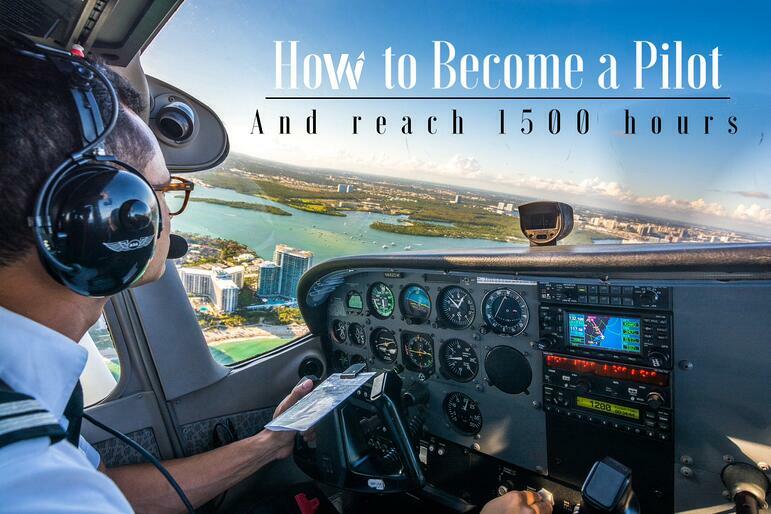 Not a lot of #aviators think about the fact that there are many different ways to get to 1,500 hours. In this article we’ll try to make it as easy as possible for you to decide on which path to take. Because there is a road and a way for everybody. Notably this article is written for #aviators that want to get to the airlines, and need the 1,500 hours for ATP. Most of the pilots get their licenses at a part 141 school. Here at Wayman Aviation we have part 61 & part 141 courses. In a part 141 school you probably fly the ‘classic way’ to getting your ratings. This is the most common route to get to build your hours and experience. Being a flight instructor is a rewarding experience. you have truly mastered the concepts once you can teach them. For many aviators it is the first time that flying starts paying for itself. However, it is not necessary to have your multi-engine rating to be a certified flight instructor of single engine airplanes. There are positives and negatives to getting your multi-engine later. You can argue that you’ll want to finish up everything fast, and if you still need to ‘get your multi add-on' that you’re not completely finished yet, right? On the other hand it really shouldn't take longer than 1 month to get your multi-engine rating. It’s even doable in a couple of days if weather and other circumstances permit. Why not get it later in your CFI career when you are already building hours? Often if you are already in the study-mindset and have the funding together it is best to go ahead and get your multi-engine rating right away. Once you are working 10-12 hour days it is hard to dedicate the time to get back into studying and preparing for a checkride. Besides, it will take a lot of laps around the pattern to pay for that multi-engine time. These days there are a lot of jobs in the industry, and a lot of newly rated commercial pilots choose to build their hours a different way rather than being a CFI. This is also an option if instructing really isn’t for you. It takes a certain kind of personality, patience, and passion to be a flight instructor. If you are more of an introvert, not a communicator, or simply don’t have the patience to teach you may be more of a technician. Fly the line; cargo, charter, surveying require flying skills without the social anxiety. After you can start working as a banner tower, crop duster or as a sightseeing pilot. Different jobs have different requirements. Maybe you won’t even need your multi-engine rating yet. Also for some of these jobs an instrument rating is not necessarily required. Which brings us to the next way. To become an instructor you need to have an instrument rating, you can’t get around it. However, why not start building time and making money while flying some odd-jobs like banner towing or sightseeing tours, right? Sounds like fun! And while you are working you can start getting your instrument rating and other ratings? Bet you didn’t think about this route. There is a lot of hype and news about the regional’s and major’s shortage of pilots. However, they are pulling heavily from Part 135 and 91 operators. Their starting requirements have come down to the insurance minimums which in many cases is a Multi-Engine rating and 700 hours of Total Time. That seems pretty doable right? It takes a lot of networking though. Spend your days at the FBO chatting up everyone in site if they need a First officer, SIC, or just a free hand. Often this will be on a volunteer basis, and the training will almost certainly be unpaid. Once you are there, Island hopping in a Cessna 402 is a great way to build time. Many of the smaller cargo operators also work in the 135 zone such as IBC in Miami. These are just a couple of ways of how you can get your licenses and ratings. Here at Wayman Aviation we provide part 61 & part 141 courses. How do you want to become a pilot? Check out the schematic below and figure it out yourself! If you have any other thoughts or ideas how to become a pilot post them in the comments below.